Love is blind. So says our modern culture. Whenever the madness of love comes over you, it becomes very difficult to see. You are overcome by a flood of emotions and hormones in romantic relationships that clouds your judgment. You think the beloved is much more beautiful and virtuous than he actually is; you are unaware of his faults; and you even lose sight of the more important things in life. Love causes this great confusion. Real knowledge must be devoid of all love emotions. Or so we are told. In his groundbreaking study The Nature of Love, Dietrich von Hildebrand explores the depths of love relationships. What makes love true? What is it that makes a love great? Indeed, in many of his works he explores this fundamental human experience. Particularly striking is his statement on the sight of love: "Nothing is more mistaken than the adage, 'Love is blind.' Love is that which gives us sight..." (1) We come to know the other truly to the degree that we approach them in love. Love opens us up to a new knowledge of the beloved. Before we approach the other in love, we are rather indifferent to them. We might know certain things about them, but they do not stand out to us in their full importance. They fall into the background as neutral. Then, at some point, we realize the true value of the other. We begin to love them. A whole world of value hidden in the other opens out to us. Their virtues, talents, yes, their real depth is gradually revealed. (2) There is so much more to them than we first realized. Love has enabled a deeper understanding of the other. We marvel at the fact that we once were so indifferent to so wonderful and rich a being - this whole, unique, and unrepeatable human person. Does this mean we overlook the faults of the beloved and believe they are not present? By no means! As von Hildebrand reflects, in the fullest love the faults of the other are clearly present to us. We embrace the beloved with his faults and even suffer because of them. But these faults are always cast in the light of the true self of the other -- that splendor of virtue and goodness to which they are called. In love, the beloved is identified with this potential fullness of virtue. The faults and sins of the beloved are seen precisely as violations of their true self. Those who falsely idealize the beloved -- seeing perfection where there is none -- do not truly love the other. For love embraces the faults of the beloved. To overlook the faults of the other is to ignore who he is here and now. Love accepts the other as he is yet sees greater potential still. Indeed, often it is when we experience the loving gaze of another that we realize who we are and what we are called to. "She sees something good in me." Love bestows sight. Not only does love open us to a new knowledge of the beloved herself. It also opens us to the whole world of value. The beauty of the world shines more brightly to our eyes. We hear melodies we were once deaf to. We see colors to which we were once blind. In coming to a true and noble love of the beautiful other, we see more and more the full beauty of the world around us. In love, the world in all its splendor and glory is revealed. Also, love requires humility before the value of the other. One makes himself small before the other, so to speak. He lets the value of the beloved speak for itself. The other is realized as someone important in herself. She must not be used but loved. A great reverence is called for. In this one learns a reverence and openness for the whole hierarchy of values. Thus it should not surprise us to hear that in love the heart of the cynic and of the atheist is changed. Love cannot fail to transform the heart of the lover. Through love, one learns the true value of the good, the beautiful, and the true. One comes to realize the highest of values -- God himself. Unfortunately, not all loves are noble and true. Not all loves are characterized by reverence, humility, and sincerity. Some loves really do blind. Von Hildebrand would want to say these are not love in the full and proper sense. One must cultivate love so that it may be true. One must be on guard against the troubles which threaten love. However, it must be said: a truly noble love is possible. We are all called to truly great love -- first of all in love of God but also in love of family, friends, and neighbor. If we allow these loves to transform our hearts, we will come to know that remarkable truth: love bestows sight. 1. Marriage: The Mystery of Faithful Love, (Manchester: Sophia Press, 1991) 12. Cf. 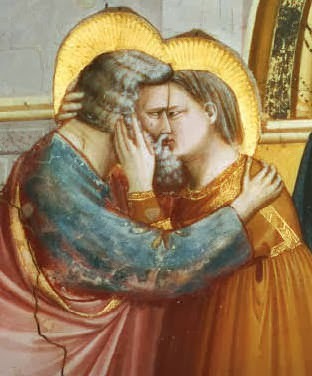 The Nature of Love (South Bend: St. Augustine's, 2009), 28: "It is absolutely erroneous to say that love instead of responding to the value of the other, generates an illusion that makes the beloved appear to be beautiful and lovable. Love as such is not blind." 2. Marriage, 12: "It is true, of course, that all love implies a deeper understanding of the other person, a deeper grasp of his real being."